Arrive At Jodhpur Airport and transferred to Hotel. 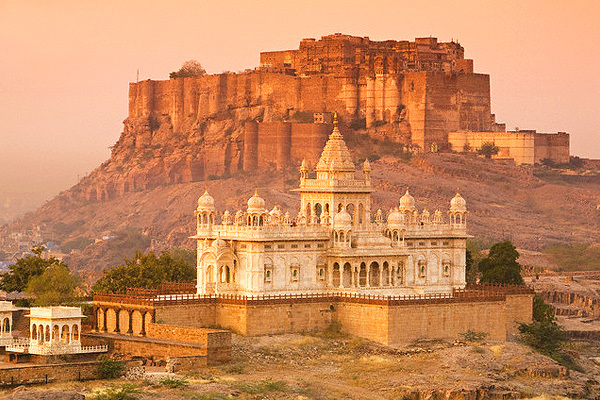 Check in the hotel and relax for some time In afternoon proceed to half day sightseeng of Mehrangarh Fort, Jaswant Thada and you can also explore the local market for shopping.Later back to the hotel.Overnight stay at the hotel. After Breakfast check out the hotel and transferred to Jaisalmer. On arrival check in the hotel and relax for some time.Rest of the day is at leisure and you can also explore the city on your own.Overnight stay at the hotel. After Breakfast proceed to full day sightseeing of Jaisalmer Fort, Nathmal Ji Ki Haveli, Salim Singh Ki Haveli, Patwon Ji Ki Haveli, Jain Temple and you can also enjoy the Camel Safari in Sand Dunes on direct payment basis. Later back to the hotel.Evening is at leisure . Overnight stay at the hotel. After Breakfast check out the hotel and transferred to Bikaner. On arrival check in the hotel and relax for some time.Later proceed to half day sightseeing of Shiv Bari Temple Dedicated to Lord Shiva and Deshnok Temple – It is pilgrim centre of Karni Mata. After darshan back to the hotel.Overnight stay at the hotel. After Breakfast check out the hotel and transferred to Jodhpur. On arrival check in the hotel and relax for some time. Later visit Junagarh Fort and the Lalgarh Fort. After sightseeing back to the hotel.Overnight stay at the hotel. After Breakfast check out the hotel and proceed to Airport to board a flight for your onwards journey. Accommodation in A/C Standard Room. Daily breakfast and Dinner at the hotel. A/C Car for 05 nights & 06 days. City to city transfer and sight seeing as per the itinerary. If you have not decided yet or wants to customize tour itinerary or hotels listed above in "Explore Rajputana Rajasthan Tour Package With Air India Holidays", then we can change the travel itinerary and make a personalized, tailor-made holiday package, especially for you. We can modify this travel package as per your itinerary, budget, duration and the tourist places you would like to visit, including transportation and airfare should be included or not. Please fill the form below to contact us.